ServiceNow is a powerful platform-as-a-service, which offers advanced automation and process workflow for the enterprise environment. Integrate AlertOps’ alert management platform with ServiceNow to receive and respond to critical alerts through email, SMS, push notification, and phone alerts. 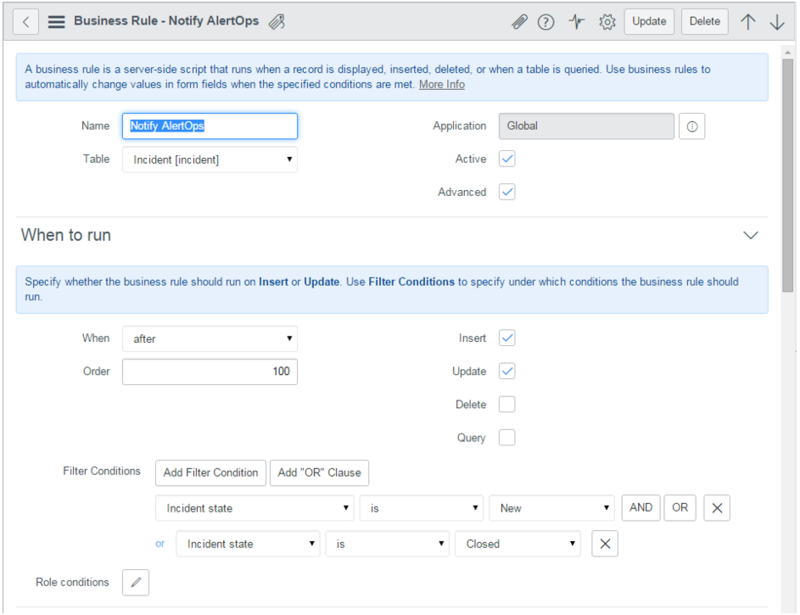 AlertOps ensures that alerts received from ServiceNow always reach the correct, available team member by utilizing escalation policies and on-call schedules. 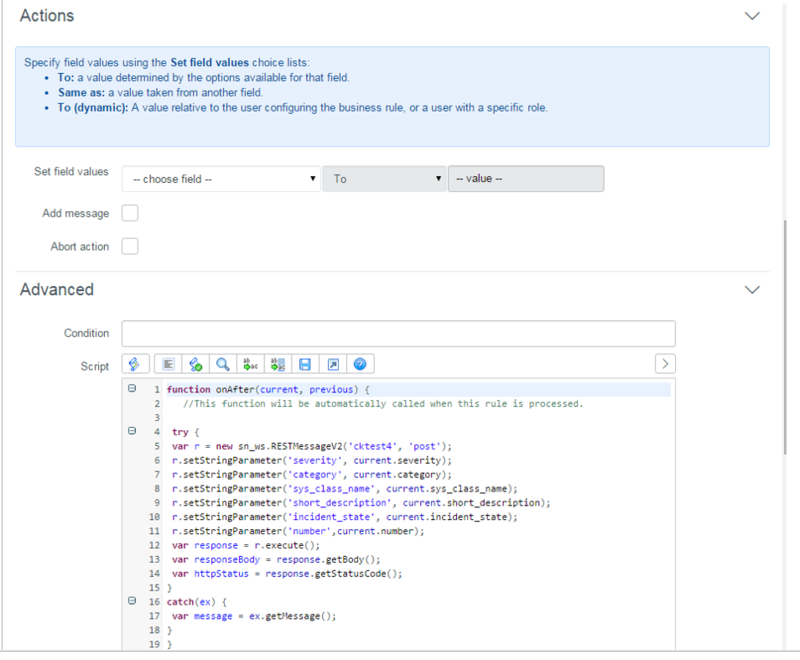 Step 3: You should now be on the Web API Integration Detail page. 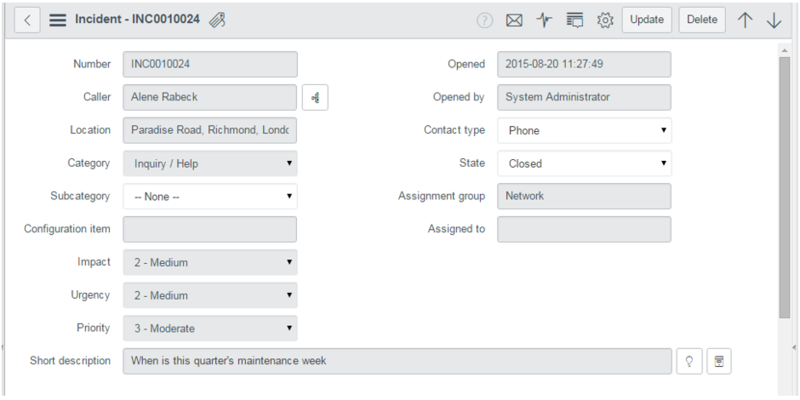 Select ServiceNow from the Integration Template dropdown menu. Step 4: Enter a name for the Integration. 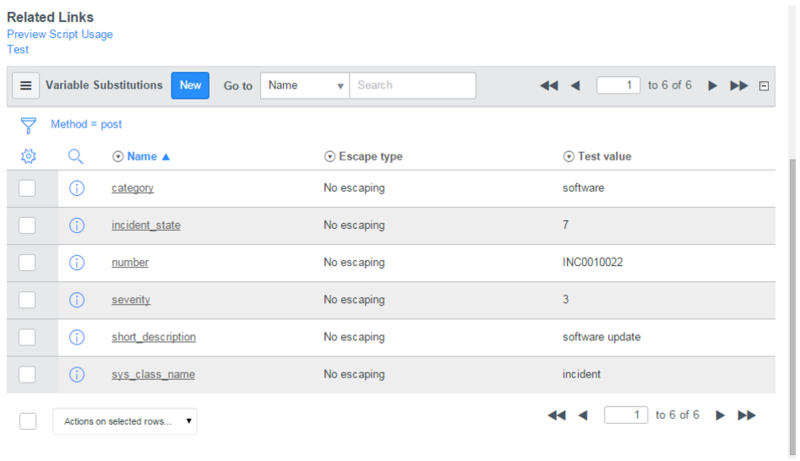 Select an escalation rule to determine the integration's escalation policy. And, enter the names of recipient user(s) and/or group(s). Click Save Changes. 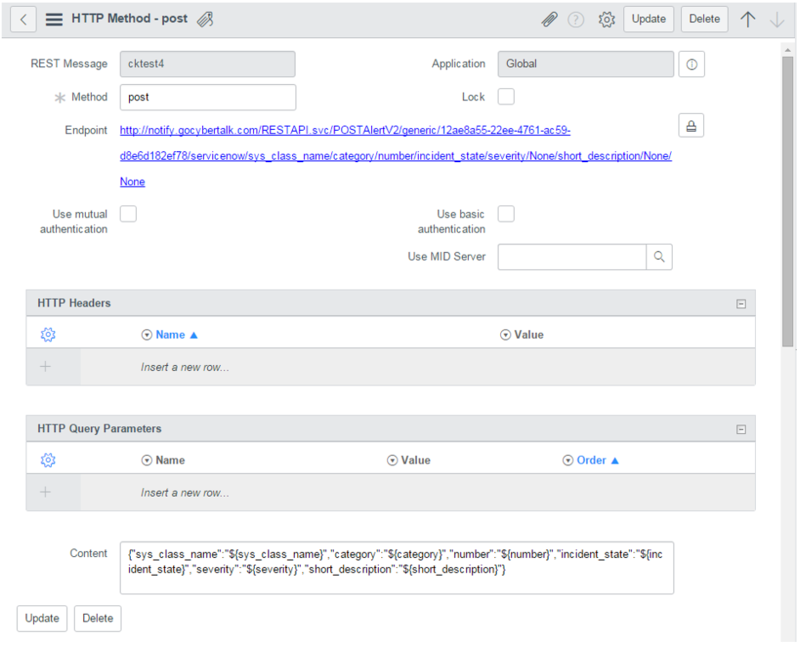 Then, click Copy URL to copy the URL endpoint to be used in the ServiceNow configuration. Step 1: Create a new REST message. Step 2: Create POST method. Step 4: Add variable substitutions and test. Step 5: Expand to see sample test result. Step 7: Enter code in the advanced section. Step 8: Go to Incident > Create New. Step 9: Resolve and Close the incident. 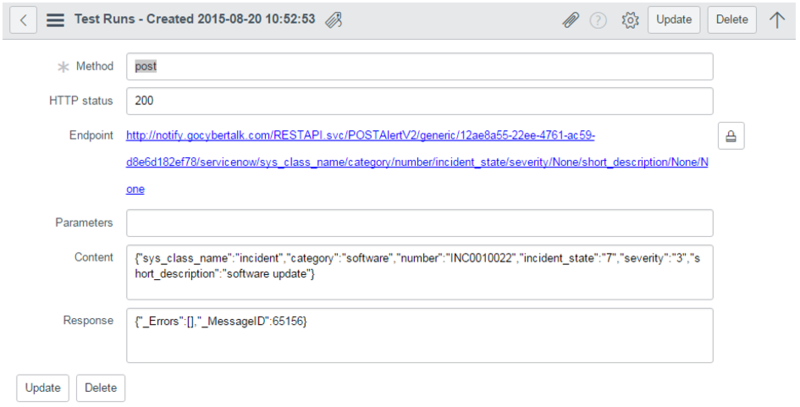 AlertOps will automatically close the same incident when an alert with an IncidentStatus status “7” is received.